We all know the overwhelming feeling of a stack of resume and struggling to find the needle in the haystack… STRESS! Do you feel your recruiting team has hit a wall of ineffectiveness and failing to produce any qualified candidates? If so, it may be time to consider outsourcing your recruiting to Simplifi HR Solutions. Rapidly growing companies or companies with a seasonal hiring influx are good candidates to outsource their recruiting efforts. 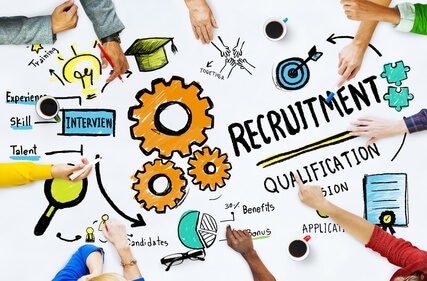 By outsourcing your recruiting it enables your in-house HR staff the ability to focus on recruiting internal candidates for open positions and the ability to review current recruiting and retention strategies which can make a huge impact on your bottom line. Simplifi HR Solutions can also assist with writing job descriptions, on boarding new hires, EEO reporting and whatever else will help free up your internal staff so they are able to focus on other priorities. If your recruiting staff is struggling with an abundance of resumes, high turnover, or other recruiting problems, we’d be happy to help you figure out if it is time for a change. Call us today at 614-635-8672.